Horizon Announces Inductrix Switch... Is It Cool? The rigid molded plastic of the main quad frame is extremely durable and able to take bumps and crashes. If you do end of cracking the frame, the removable and replaceable ducts make it easy to swap one out without having to replace the whole frame — something owners of previous Inductrix models will surely appreciate. Additionally, conformal coated electronics make the Inductrix Switch splash proof! Land, sea, air... the Inductrix Switch looks like it can handle them all. The Inductrix Switch is due out in late September, and it will sell as an RTF (Ready-to-Fly/Float) for just $79.99. Will this be the ultimate R/C Christmas gift this year? Is the concept cool? What do you think of this new R/C product? Let us know on our Facebook page. 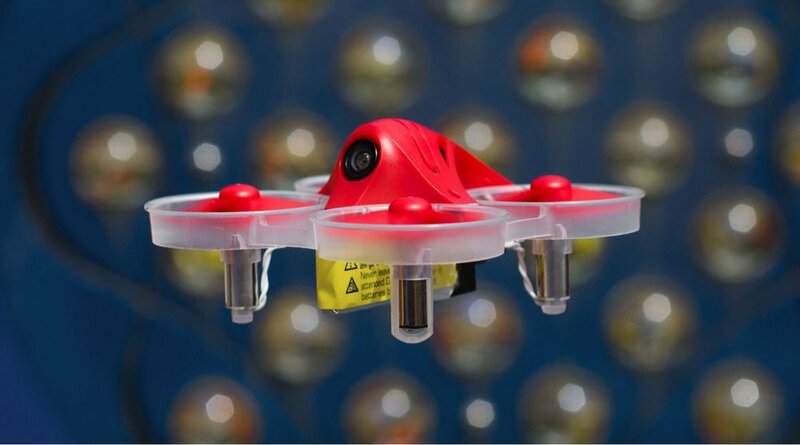 Today Horizon released information on the brand new Blade Inductrix Switch, a hybrid quadcopter and hovercraft. If features unique snap-in modular design, quickly transforming from a hovercraft to a drone in seconds — no tools are required. The Inductrix Switch has multiple control schemes, one for drone operation, and two for the hovercraft. The molded EPP foam skirt offers solid durability when inevitably bumping into walls, doors, or sliding around outside, and EPP’s anti-dent features will keep the foam skirt looking like-new long after you take it out of the box. With the popular but flawed Dromida Vista now discontinued, we needed a great beginner, outdoor drone to sell — and Blade answered the call. The new Blade Ozone is a remix of the very solid Blade mQX and Blade 180QX from years ago. Proving that good ideas never die, the folks at Blade have made the platform relevant again. It flies very well, and it's simple design emphasizes the Ozone's durability. The Ozone is Ready-to-Fly out of the box — just charge the battery and take off! The drone sells for $99.99, and extra batteries are available for purchase at just $14.99. Stop in and ask for a demonstration today! ...but rescued it a few minutes later. New in stock yesterday was the Blade Inductrix FPV+, the next evolution of the popular Inductrix platform. The new model boasts a larger, more durable frame, powerful new motors, and a larger battery for longer flights. It still features SAFE technology for confidence in the air, and the new "Meow Mode" reverses the direction of the motors to flip the drone right-side up if it lands upside-down. The Ready-to-Fly model upgrades the old monitor to a new 4.3" monitor with a built-in DVR to record your flights for posterity. 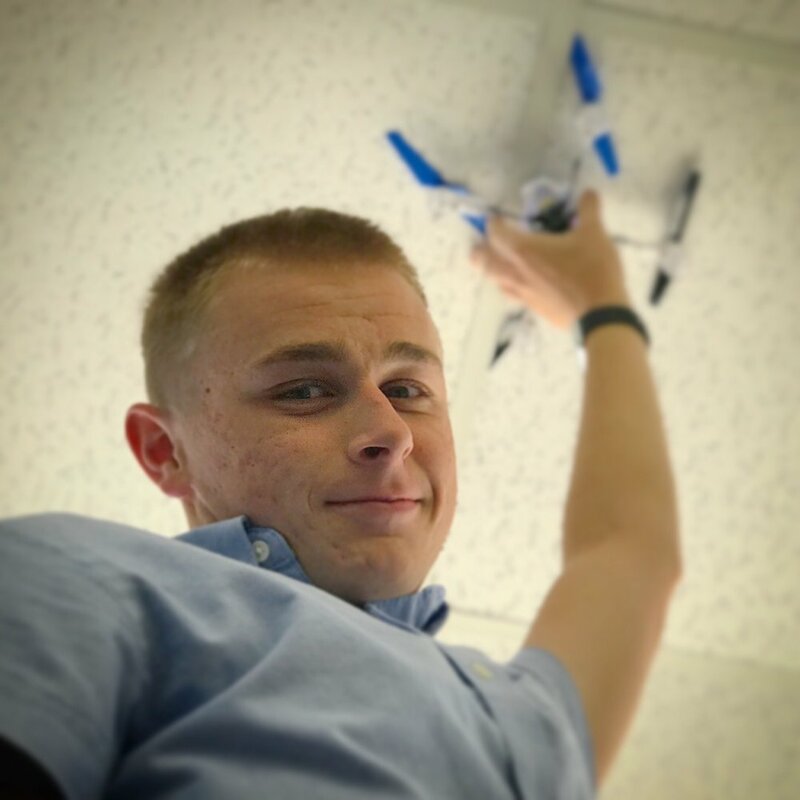 Stop in and pick up yours today, and start flying around the house in style! Blade newest micro-size entry in FPV racing is here! The Inductrix FPV Pro is the high-performance, micro FPV drone taking indoor racing performance to the next level. Building on the popular Inductrix platform, the Inductrix FPV Pro answers the call to those seeking heightened performance in a lightened, more durable profile. A significant feature is the Betaflight configurable flight controller which provides you the freedom to adjust all flight parameters, rates, and gains to fit your flying style. A new frame design with added reinforcements improves durability, making crashes worry-free. A new and improved camera and VTX combo flaunt a smaller monopole and lighter profile, while giving you more frequencies and bands to choose from. The included removable canopy gives the micro racer a sleek new design and color scheme without hindering weight or performance. The included 200mAh battery offers ample flight times, increased by the lighter overall profile. With the Bind-N-Fly completion level, all you have to do is bind a compatible Spektrum transmitter and you're off to the races. 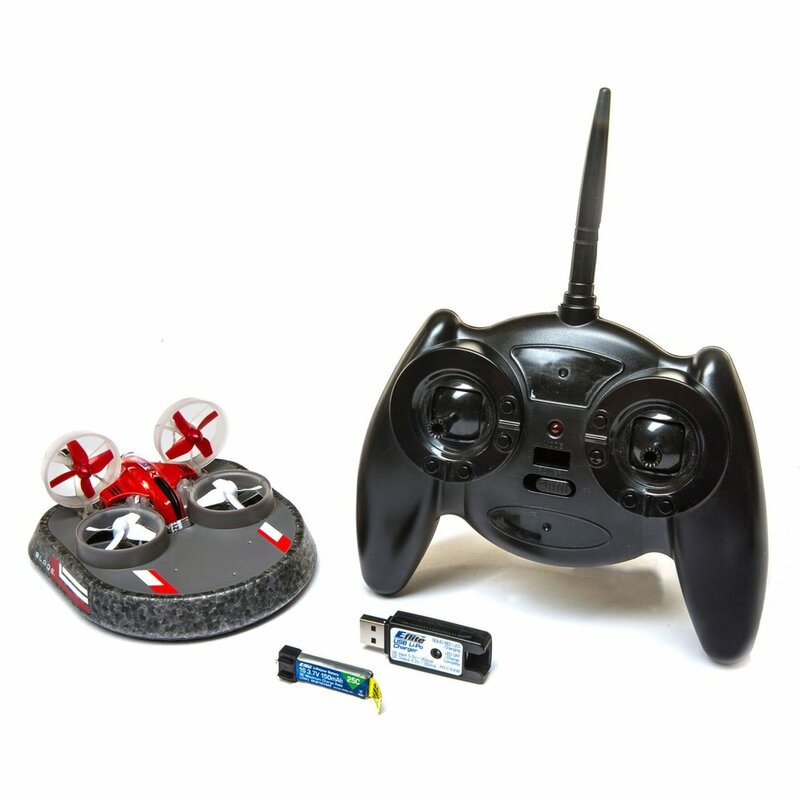 The Inductrix FPV Pro runs $119.99 and requires a Spektrum transmitter. Blade 130S In Stock Now! Julian shows off the new Blade 130S collective-pitch helicopter, which recently arrived on our shelves! The 130S is a return to form for Blade, adapting the popular 130X platform to the new age of SAFE technology and adding in a brushless tail motor to boot. The Blade 130S is available as either a Ready-to-Fly model ($249.99) or a Bind-N-Fly Basic model ($199.99). As of writing this, we have both on hand. Stop in today and start flying!